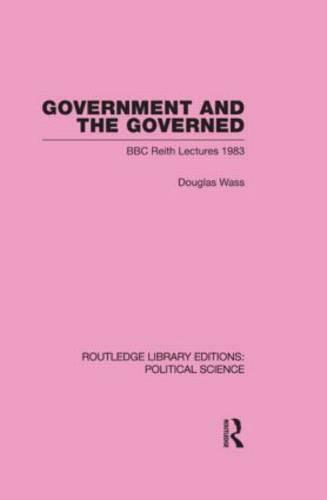 This book, originally published in 1983 examines how effectively in Britain central government is equipped to secure efficiency and responsiveness and argues that as a result of shifts in the balance of power between the executive arm of government in Whitehall and the legislature in Parliament, the British system of government is neither as efficient, nor as responsive to popular will, as a strong democracy requires. The book considers which reforms are most likely to improve the efficiency of the government and to prove acceptable to British political and historical traditions. It reviews the way in which public debate is informed by government release of information and by the press and raises the question of how good a guide to the popular will referenda and public opinion polls are.